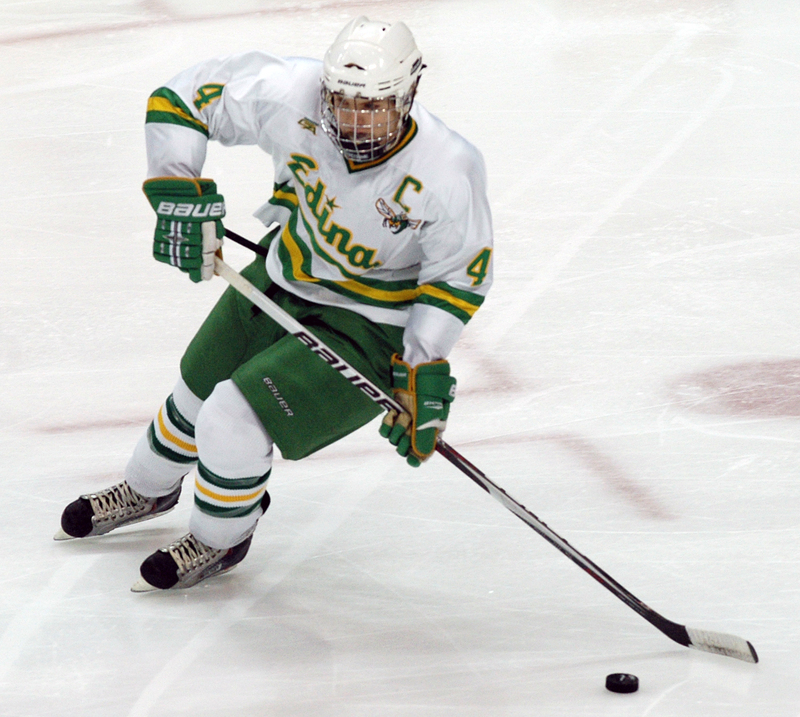 One season after its star-laden senior class was upset in its final bid for a state title, Edina’s underrated team finds itself on the precipice of the unimaginable. 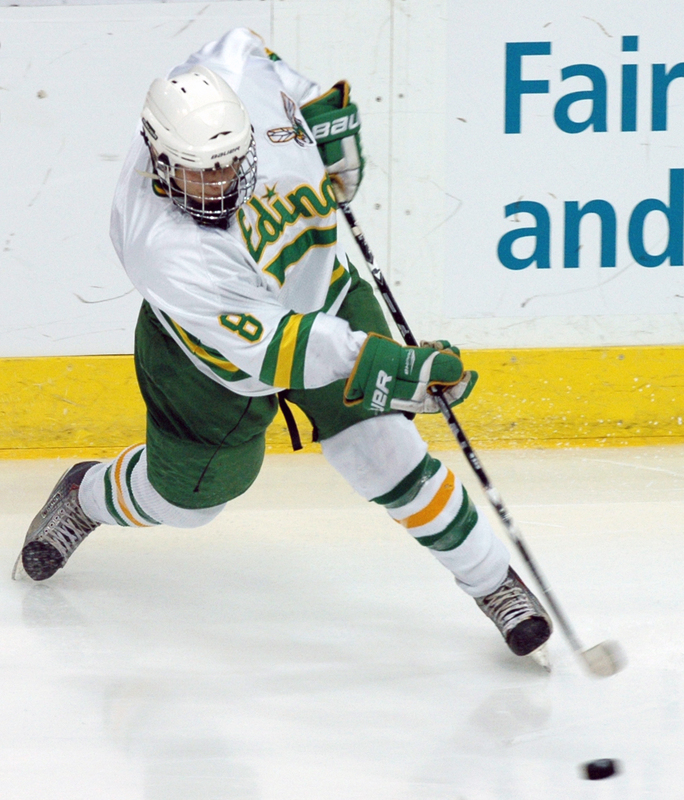 Blake Chapman and Charlie Taft scored goals and Connor Girard made 18 saves to lead Edina past Apple Valley 2-0 and into the championship game of the state Class AA tournament on Friday, March 12, at the Xcel Energy Center in St. Paul. A team without stars, without ego and without the same outside expectations as last year’s group might just surpass their predecessors. 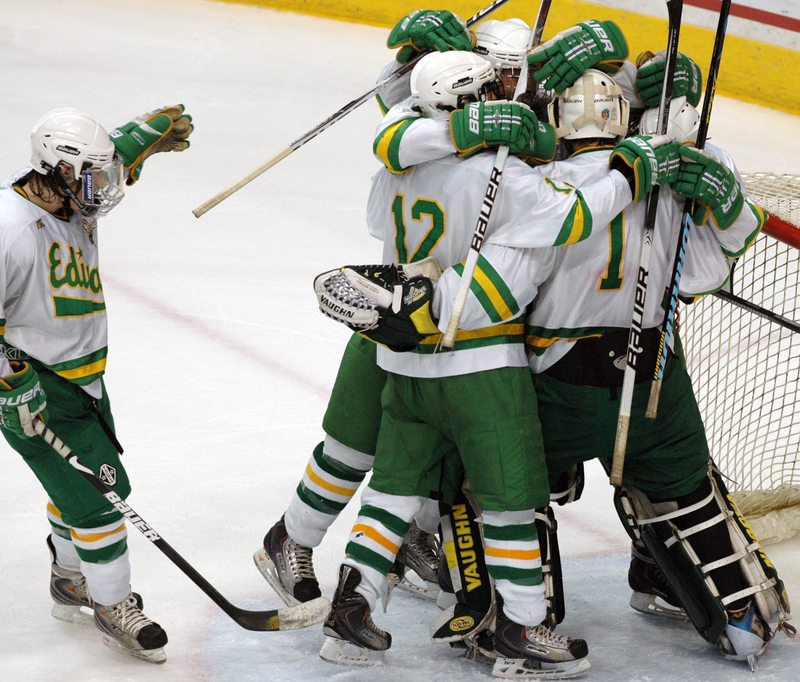 “We saw these kids over the summer and we knew we had something,” Edina coach Curt Giles said. “We knew they could be good. We knew they could move the puck. We new they could skate. We felt really good about the group of kids we had. It starts in nets, where Girard was a part-time starter through much of the regular season, often taking a back seat to Johnny Ankeny. But when the playoffs began, Giles went with the hot hand. Girard has made every playoff start, winning all five thus far. Girard certainly made his coach look prescient. 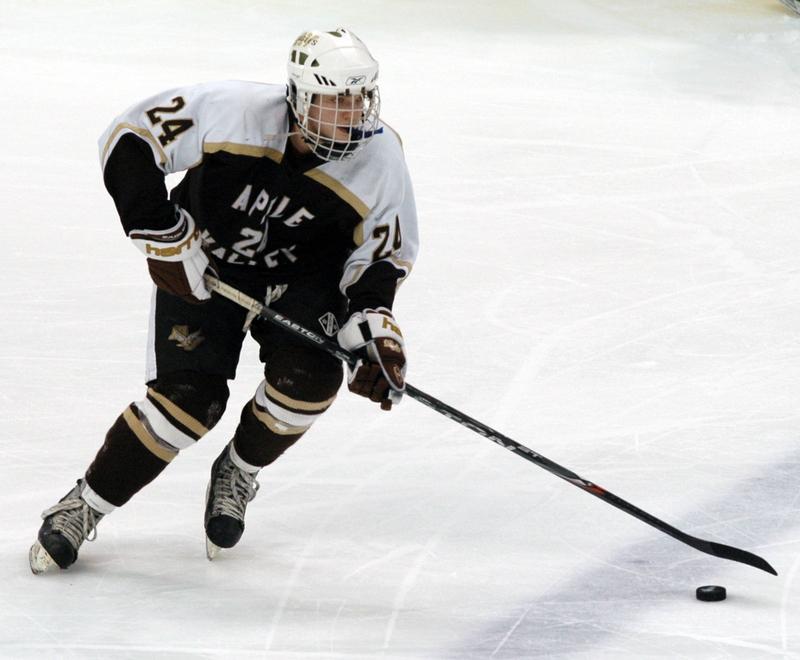 With the Hornets (22-6-2) clinging to a one-goal lead midway through the second, he absolutely robbed Apple Valley (18-12-0). 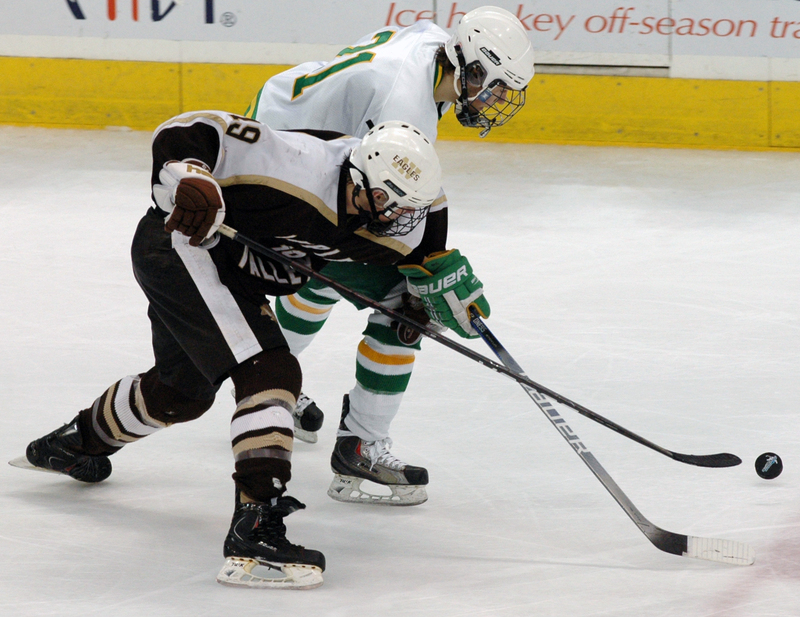 On a quick 2-on-1, Girard slid across the crease and lifted up his glove to snare what looked like a sure tying goal by Apple Valley’s A.J. Michaelson. Giles immediately cut his goaltender off. Apple Valley coach Jerry Hayes agreed. 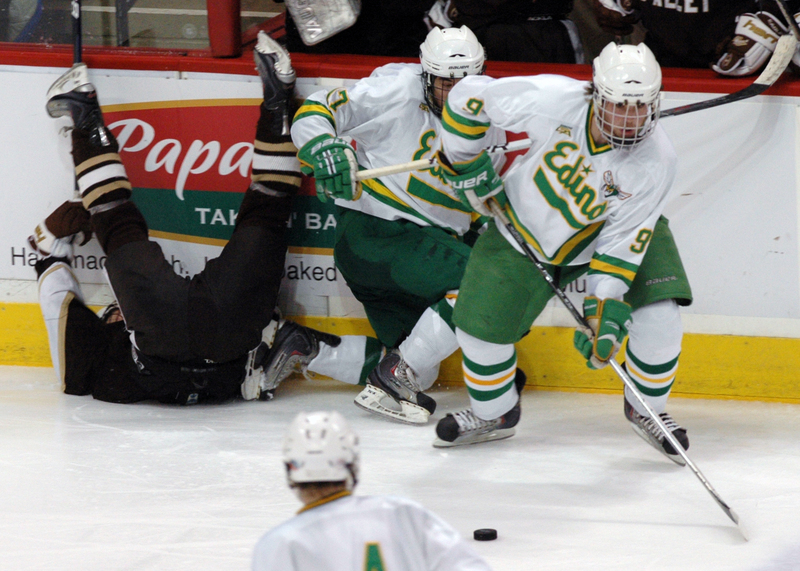 Instead, it gave Edina a push. Just a few short moments later, the Hornets struck for a 2-0 lead. 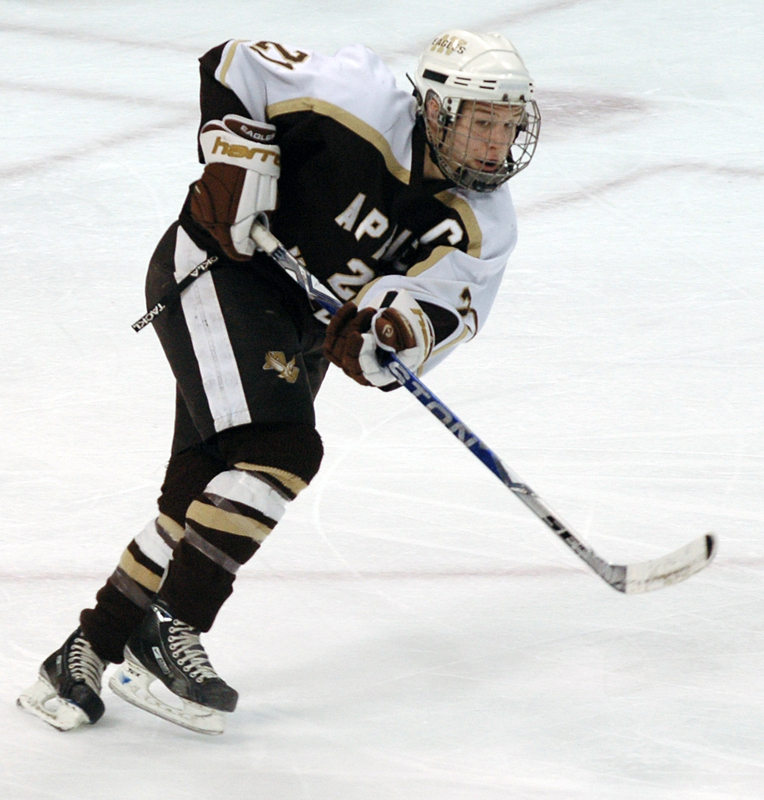 Charlie Taft roofed a shorthanded goal with 6 minutes, 22 seconds left remaining from nearly below the goal line extended. Taft swung around the Eagles’ defense and to the right of Gretz before putting a high shot over the goaltender's shoulder and under the crossbar. “He gave me a little bit of room and I kind of just threw it up there,” downplayed Taft. “We always tell our guys that big-time players make big-time plays in big games,” countered Hayes. 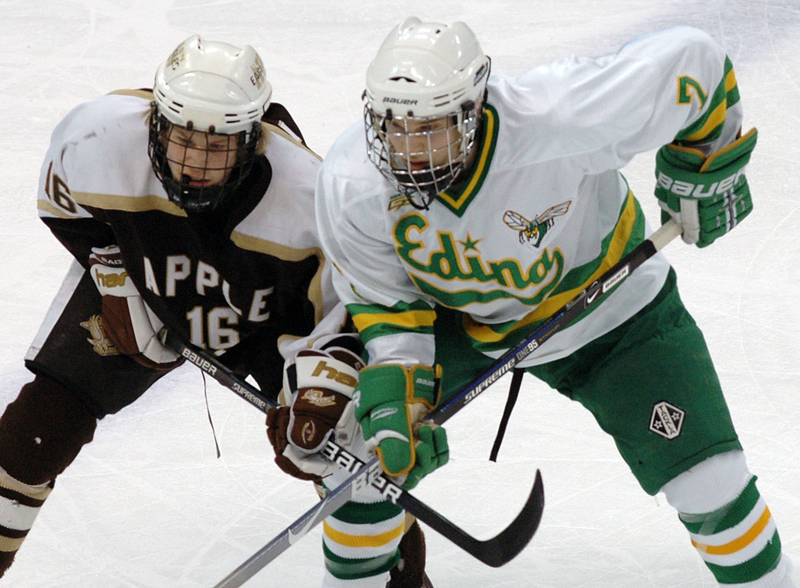 On that count, Edina was two-for-two. 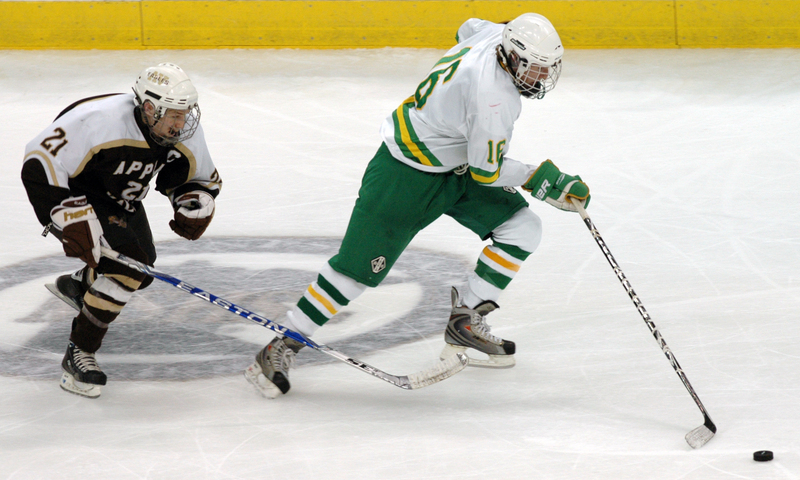 Girard’s glove save and Taft’s shorthander were all that was needed. 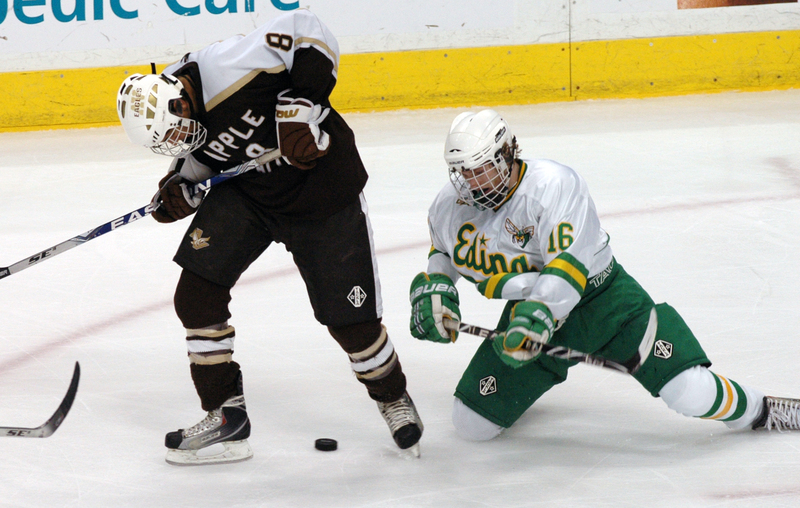 Meanwhile, Apple Valley’s star underclassmen, freshman Hudson Fasching and Michaelson, a sophomore, were bottled up most of the game by Edina’s defense and the Hornets’ backchecking forwards. 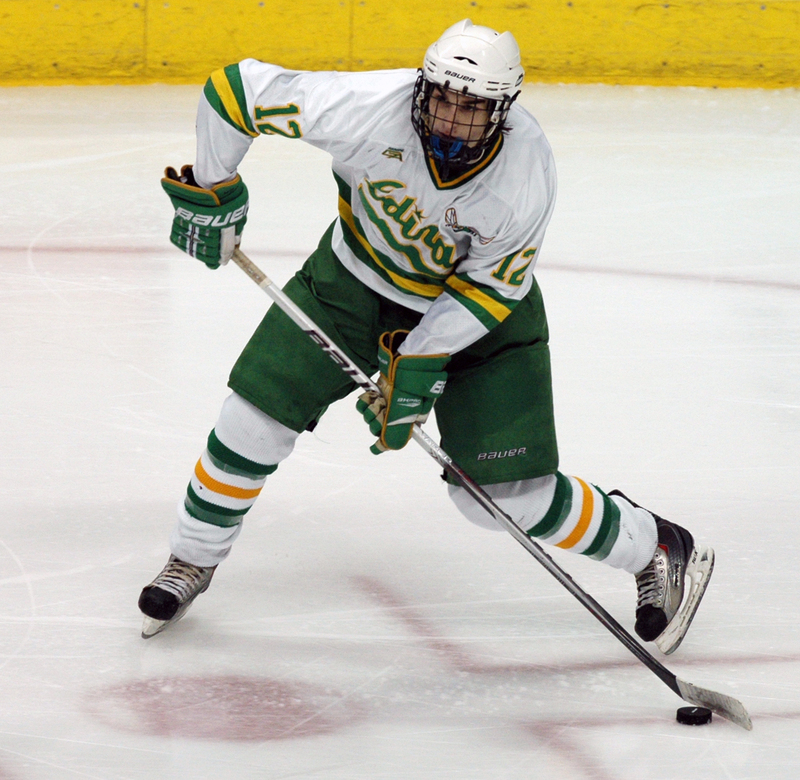 They had few good scoring chances, but those were gobbled up by Girard. Hayes mentioned the pressures both underclassmen face, not only on the ice, but on whether they’ll be back for the Eagles next winter to help the program continue to build. 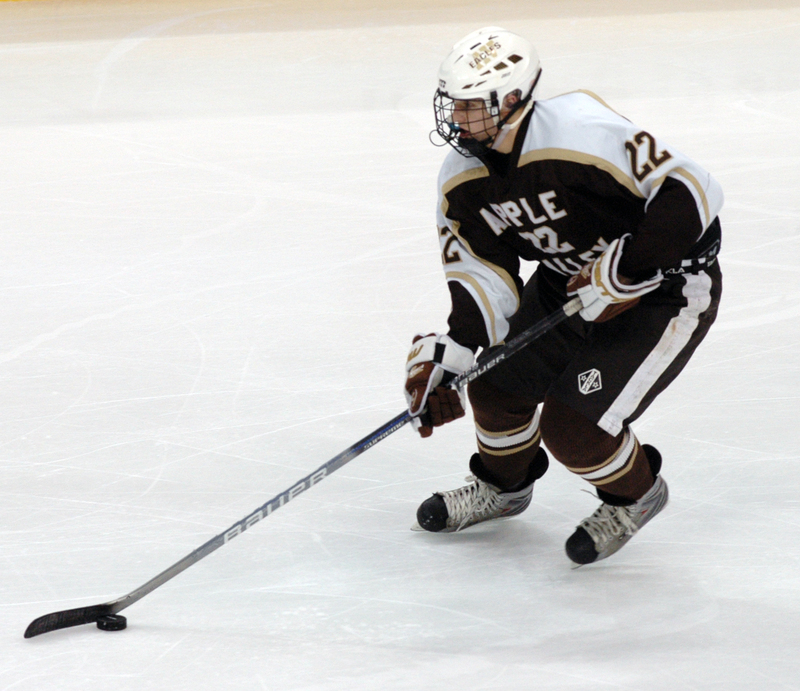 Apple Valley goaltender Aaron Gretz, one of the heroes in the quarterfinal upset of third-seeded Blaine, had another solid game, as he was peppered with a steady barrage of shots and finished with 35 saves. 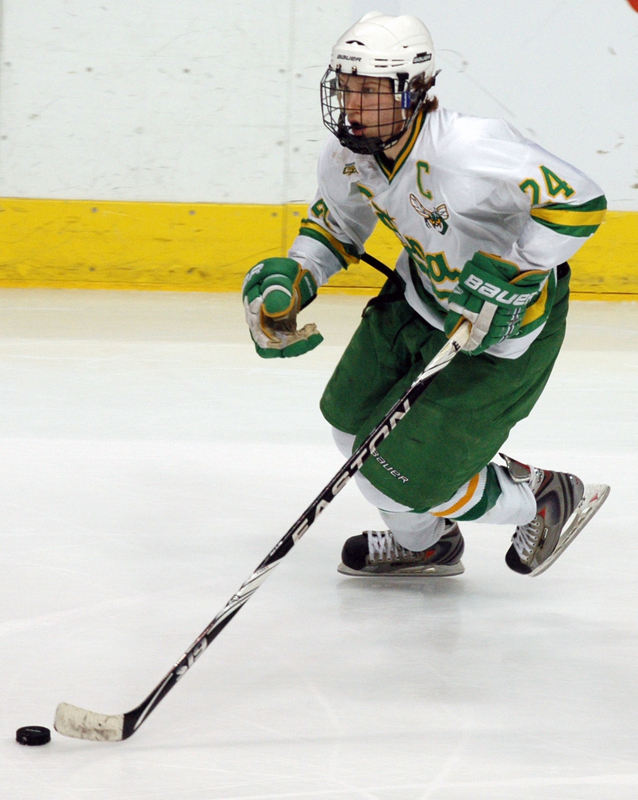 Taft, the Hornets' closest answer to a "star" player, put the game out of reach at 13 minutes, 38 seconds of the second period with a back-breaking, short-handed goal that gave Edina a 2-0 lead. He roofed a forehand from just above the goal line. Girard was solid all night, stopping all 18 shots he faced for the shutout. 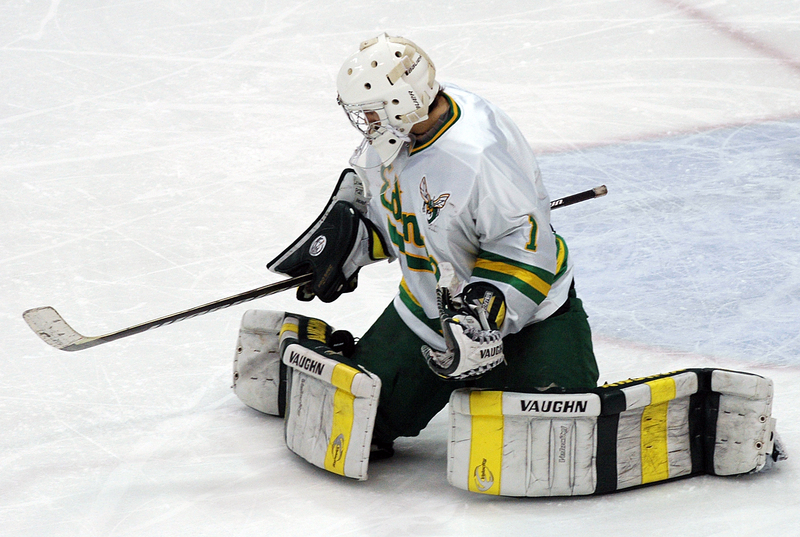 He wasn't called upon to make many acrobatic saves, but kept the puck in front of him. 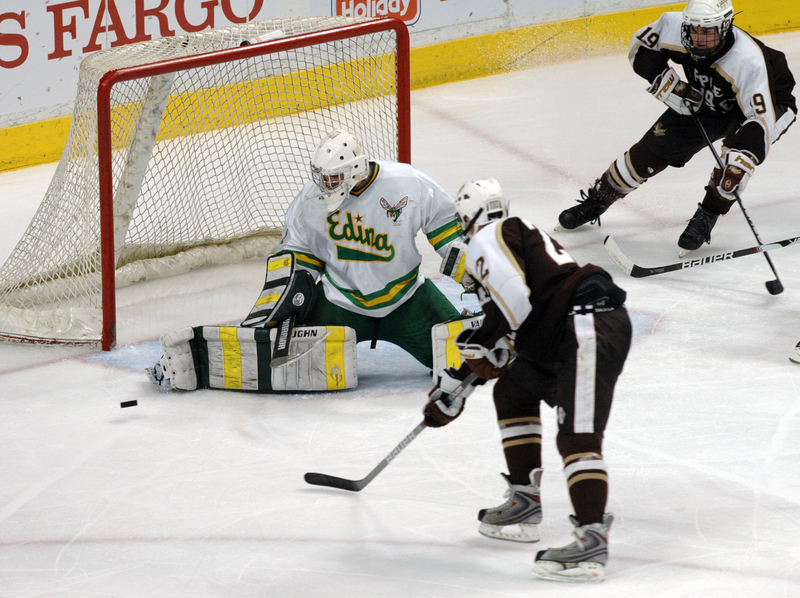 Gretz continued his terrific state tournament run, making 35 saves on 37 shots. He needed to be perfect as he was against Blaine, and while the Hornets nicked him for only two goals, it was enough for the victory.